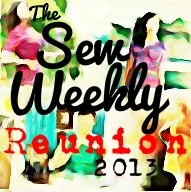 One of my favorite machine embroidery designers is Kara Sutton of Kreations by Kara. Occasionally, I find myself wandering over to her site …(ok, maybe more often than occasionally). Anyway, while I was there one time, the most beautiful collection of Dandelions just jumped into my shopping cart! Amazing. It all happened so quickly! 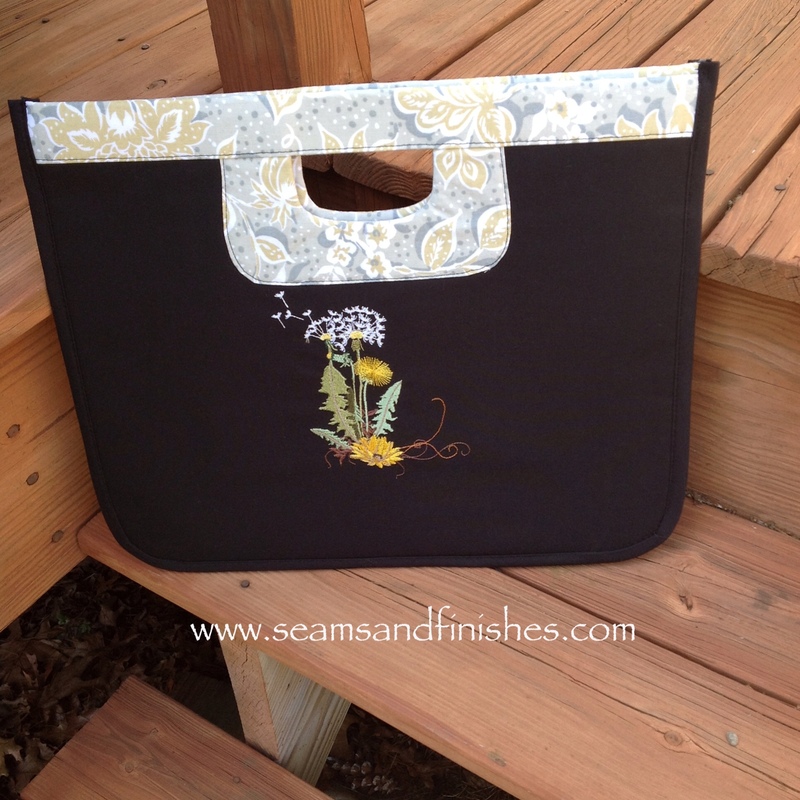 I found the perfect canvas for my embroidery with this Laptop Satchel pattern from Vanilla House designs. The satchel interior features a divided pocket and an additional zippered pocket for holding keys, phone, pens etc., alongside your computer and other documents. It makes a great gift too. I had so much fun making one, that I had to make another! The first one I donated to a silent auction family benefit. It's always a good feeling being able to turn your hobby into something to help others. The second satchel was my daughter's choice. Lets see, now…I have a “few” more designs from Kreations by Kara, but I do not yet have one of these satchels. Hmm, I wonder what I can do about that?? 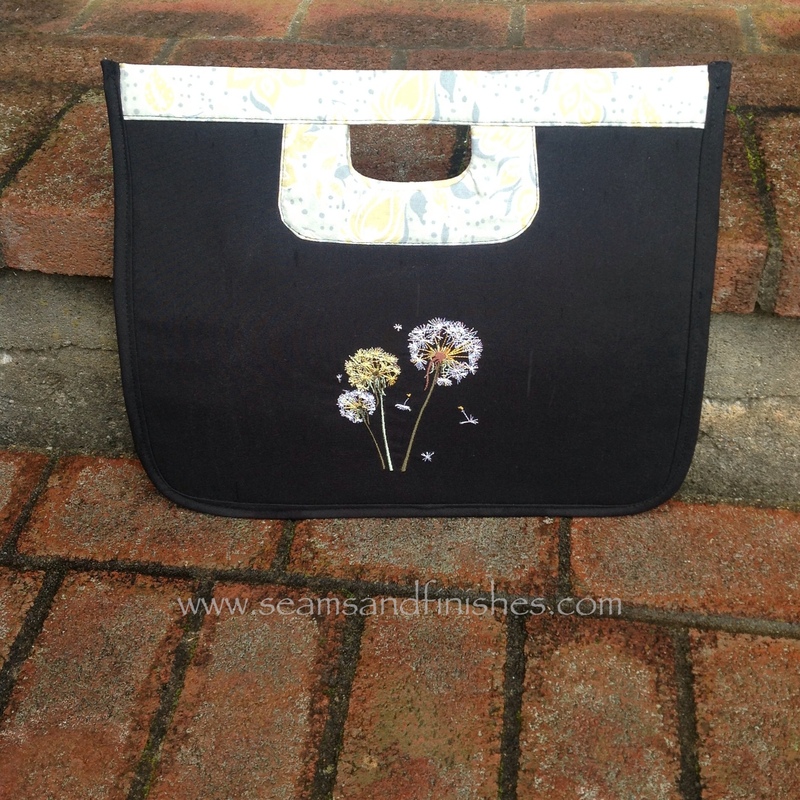 Love both the bag pattern and your Kreations by Kara designs – I’m a fan of some of the dandelion patterns as well – have a few in my “to do” pile. The dandies are beautiful! Oh they would look great on a sheer curtain. Oooh, that is a great suggestion! There are a couple of designs in the collection that would look wonderful on sheers!